Step aside jeans, it's the turn of chinos. 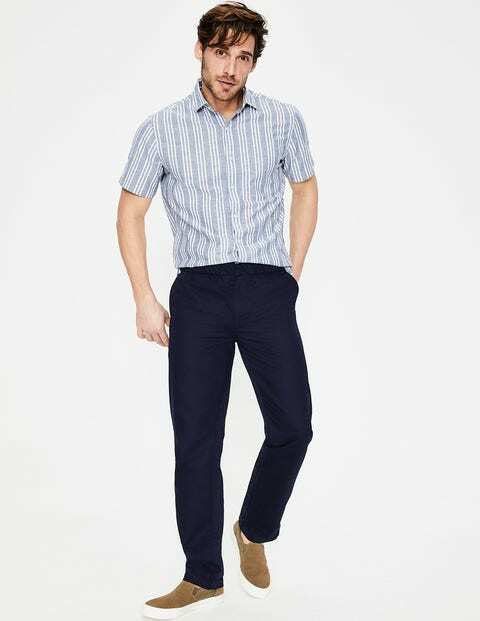 These trousers come in a timeless dark navy and are made from a supersoft cotton-linen blend for comfortable weekend wear. Their vintage feel is thanks to garment washing that gives every pair a unique look. And we've added handy side pockets too for extra practicality.